Juliet Bauer, who is departing NHS England’s chief digital officer post after 2 1/2 years for the sunnier shores of Appdom, has apparently also taken a splash in hot water on her way there. She is joining Sweden’s Kry (Livi in the UK), a GP telemedicine app available in Europe and the UK in an undisclosed product executive role. Livi offers NHS and private services for video consults, including a current contract with GPs in Surrey. The event that has sparked the controversy was Ms. Bauer’s article on digital health in the Times (paywalled) on 14 Jan praising Kry/Livi without disclosing publicly that she is joining the company in April. She stated that data provided by Kry/Livi showed “higher levels of patient and GP satisfaction while at the same time delivering higher patient safety and medical quality as well as crucial improvements in lowering prescription of antibiotics.” To add to it, the claim was not backed up with details nor, in reports, did the article cite other medical companies. ‘Brazen,’ ‘jaw-droppingly inappropriate’, and a ‘puff piece’ was how the article was characterized by Meg Hillier, the Labour MP who chairs the Commons public accounts committee. Even Simon Eccles, her soon-to-be-former colleague who is CIO of health and care, chimed in that the article was a mistake by a colleague he called ‘fantastic’ in her advocacy for centering NHS around the individual. Ms. Bauer worked on the recently disclosed 10 year plan, but the key leaders were Dr. Eccles, NHS Digital boss Sarah Wilkinson, West Suffolk Hospitals Foundation Trust head Steve Dunn, and NHS England deputy chief exec Matthew Swindells. Dr. Eccles to the press dismissed any influence by her towards her future imployer. Ms. Bauer was NHS England’s first chief digital officer, starting in July 2016. She was responsible for patient-focused digital dubbed Empower the Person, including NHS 111, the app library, and the NHS app. According to the internal memo obtained by HSJ revealing her departure, it is with ‘with immediate effect’. Replacing her from 4 February on an interim basis will be Tara Donnelly, the current chief executive of the Health Innovation Network. The brazenly revolving door of civil servants to companies and vice versa is common on both sides of the Atlantic. Former senators, congressmen, and generals–and those well down the greasy pole–find new employment at lobbyists, companies and industries they used to oversee. Influence and connections, as well as expertise, count for a great deal in the real world. In the private sector, sometimes there are non-solicit or non-compete (the latter unenforceable in many states) agreements, with exceptions for highly regulated and conflict-prone businesses, such as insurers. Consumers had high rates of favorable acceptance and likeliness to use AI-enabled clinical services: home-based diagnostics (66 percent of respondents), virtual health assistants (61 percent), and virtual nurses to monitor health conditions, medications and vital signs at home (55 percent), which may be good news for the future of telehealth services. The 2,301 respondents already are using mobile and tablet health apps (48 percent). 44 percent are using patient portals for to fetch their health records, primarily to get information on lab and blood-test results (67 percent), to view physician notes regarding medical visits (55 percent), and their prescription history (41 percent). Wearables are being used by 33 percent and favorably viewed by over 70 percent as beneficial in understanding their health condition (75 percent), engaging with their health (73 percent), and monitoring the health of a loved one (73 percent). Virtual care seems to be leading the way over wearables and remote patient monitoring–and after-hours care, patient follow-up, and patient education are leading virtual care. 25 percent had received virtual care services in the previous year, up from 21 percent in last year’s survey. 16 percent are taking part in remote health consultations, compared with 12 percent in 2016. 14 percent are participating in remote monitoring, up from 9 percent in 2016. 47 percent state that given a choice, they would prefer a more immediate virtual medical appointment over a delayed in-person appointment. For after-hours care, 73 percent said they would use virtual care for after-hours (nights and weekend) appointments. 71 percent said they would use virtual care for taking a class on a specific medical condition. 65 percent would use virtual care for a follow-up appointment after an in-person visit. 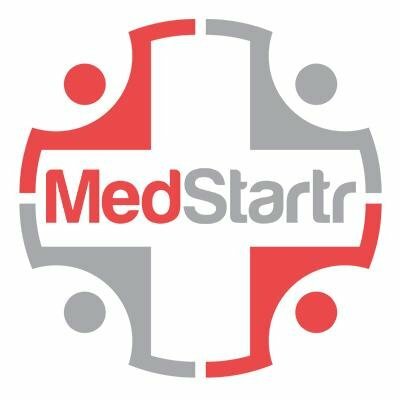 Most respondents said they would also use virtual care for a range of additional services, including discussing specific health concerns with medical professionals (73 percent), in-home follow-up after a hospital stay (62 percent), participating in a family member’s medical appointment (59 percent), and being examined for a non-emergency condition (57 percent). Our Editors have always tried to cleanly define the differences between telemedicine, telehealth and telecare, even as they blur in industry use. (See our Definitions sidebar for the latter two.) But telemedicine, at least on this side of the Atlantic, has lost linguistic ground to telehealth, which has become the umbrella term that eHealth wanted to be only two or three years ago. Similarly, digital health, connected health and mHealth have lost ground to health tech, since most devices now connect and incorporate mobility. And there are sub-genres, such as wearables, fitness trackers and aging tech. Does telemedicine video quality influence clinical acceptance? A pointer for connected health designers. An Australian study reviewing telemedicine virtual consults examined the technical factors that may influence clinical acceptance. It compared the quality of cellular (3G) connectivity with broadband fiber-based service during virtual visits. 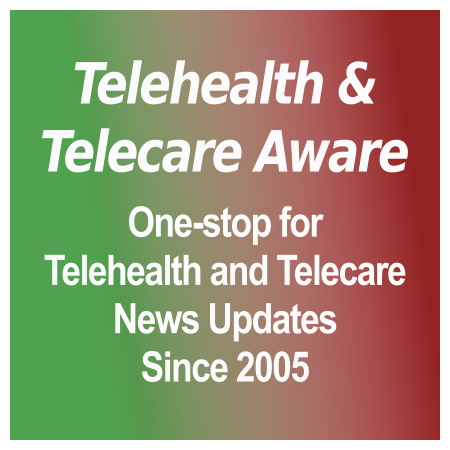 While overall clinicians rated the telemedicine visits highly–equivalent to or better than a home visit 76 percent of the time and conducting a video consult compared with a home visit as equivalent or better 90.3 percent of the time–the lower audio/video quality of the visits over a 3G data connection versus broadband was apparent, enough that ‘statistically significant associations were found between audio/video quality and patient comfort with the technology as well as the clinician ratings for effectiveness.’ The high failure rate of 3G was also dramatic–23.5 percent of visits calls dropped. It’s a matter of trust. While telemedicine is benefiting from liberalization of state regulations, proof of cost savings and consumer acceptance of mobile technologies (plus a surge in investor confidence! ), there’s still the hurdle of patient confidence. Just under 45 percent in this survey are very or somewhat comfortable with a virtual doctor’s appointment. Over 64 percent would not readily choose one over an in-person visit. When it comes to trusting the diagnosis, almost 75 percent of the 504 respondents either would not trust it at all (29.3 percent) or would trust it less (45 percent). But the ‘would not trust’ sentiment is heavily skewed to those 45+ (left). The good news here is that when it comes to follow up with a doctor via telemedicine, the tables turn almost exactly in its favor (left). The hope is that the last will increase acceptance of the first–and the age trend is telemedicine’s friend. Both bode well for the growth of telemedicine in the near future. Telehealth and telemedicine use in pediatrics is relatively limited at present and low profile. That may change with a statement published earlier this month in the journal of the American Academy of Pediatrics (AAP). It has been interpreted in two ways which are polar opposites. The first pictures telehealth and telemedicine as potentially practice-transforming (mHealth Intelligence), improving health outcomes in underserved communities through continuous care, and with high potential to benefit communication between the pediatric care team and patients in disease management. The second criticizes ‘episodic care in isolation’–telemedicine patient-doctor consults that take place with no previous relationship, history or physical exam (mHealth News)--as is the antithesis of the PCMH (patient-centered medical home) the AAP advocates. This Editor’s take: the statement supports both sides with a great deal of cautionary language. Pediatrics (full content). Undermining the system an unintended consequence of telemedicine? Quite a leap of logic here, when his real concern should be quick availability of patient care–not having to wait hours in a doctor’s office or ER/ED because you’re triaged as not bleeding-on-the-floor urgent. Virtual consult rates at least for now also tend to be low–$40-45 per visit–and appealing to those without insurance, not seeing a doctor on a regular basis (no chronic conditions) or anyone with a high deductible. Doctors are still also free, despite Dr Schwamm’s snark, to better utilize their time–and yes, make additional income–through signing on to telemedicine as part of their practice. So is this a lash back on a factor that’s undermining the establishment which Dr Schwamm is part of? Perhaps Dr Schwamm can explain? Stephanie Baum takes a puzzled view over at MedCityNews. [grow_thumb image=”http://telecareaware.com/wp-content/uploads/2014/12/ata-seal-of-accreditation.png” thumb_width=”150″ /]The American Telemedicine Association (ATA) has joined the gold rush of accreditation, in this case for online ‘virtual’ visits between doctor and patient only. US providers (only) can apply to ATA’s Accreditation Program for Online Patient Consultations through a multi-step process for vetting up to three years. First round application clears a company for eligibility. Through 28 Feb 2015, it is also open to ATA members only: Institutional Members, Sustaining President’s Circle and President’s Circle. On 1 March it will open to all companies in the US. Canada accreditation will start at a date to be announced in 2015. Once eligible, the second round application contains ATA Administrative Rules & Terms, Standards and Guidance, Application Form, Program Overview and Fee Schedule. Fees are annual, based on the numbers of providers of online, real-time patient consults in all service lines, which presumably means areas such as primary care, behavioral, pediatric etc. The accreditation is valid for three years, contingent on submitting an Annual Accreditation Report at the beginning of year 2 and 3 of its accreditation cycle. [grow_thumb image=”http://telecareaware.com/wp-content/uploads/2014/05/Healthspot-stationbooth.jpg” thumb_width=”150″ /] HealthSpot Station, which was one of the higher points of this past May’s ATA, in the past month has announced two significant pilots. The retail pilot is with Rite Aid, the US’ third largest drug store chain (4,600 stores), with telehealth/telemedicine kiosks located in select Rite Aid locations in Ohio–Akron/Canton, Cleveland and Dayton/Springfield areas. The usage of the kiosks will be limited to common health conditions, such as cold, earaches, sore throat, sinus infections, upper respiratory infections, rashes, skin and eye conditions. HealthSpot Station kiosks are enclosed, free-standing units which use both video consults and real-time interaction with telehealth devices for remote diagnosis. They connect to a network of board-certified medical professionals at Cleveland Clinic and other major health systems across Ohio. Start date and duration were not disclosed.